The science behind Euro Collection Doors solves common problems associated with typical wooden doors. This technology delivers superior performance for all architectural styles, even with little or no overhang. Stiles and rails made from solid wood pieces are finger-jointed and edge-glued, while the core of the panel is made of a rigid polystyrene. A real wood veneer completes the unit with the desired high-end look and feel of solid wood. 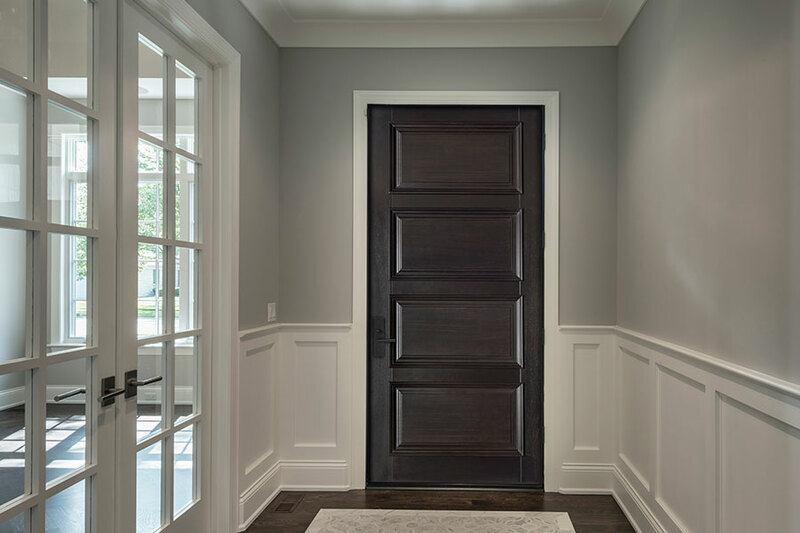 Glenview Doors are prefinished with high-end, water-based European exterior products ensuring unsurpassed quality and beauty. The furniture grade finishing process includes a multi-component system that offers exceptional resistance to weathering. The result? 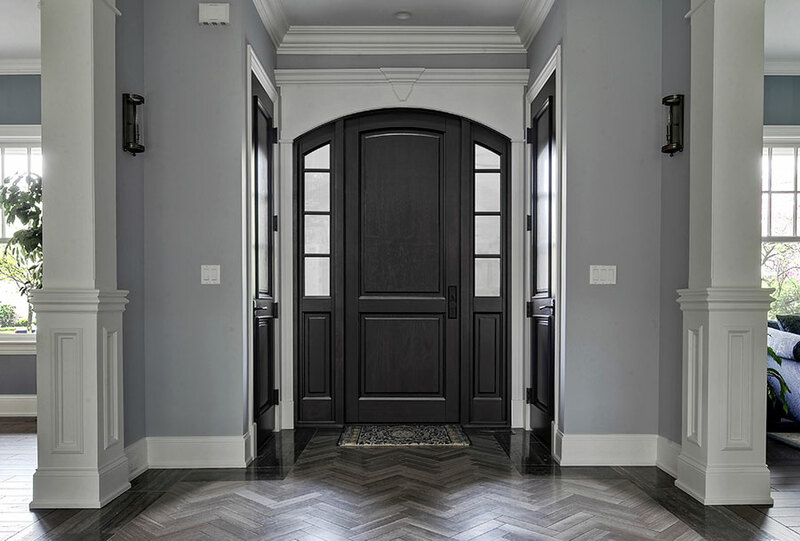 Stunning, high-end entry doors that capture the beauty of solid wood but with remarkable insulation, durability, and stability. A front door is a home's first impression. They are the first thing seen and studied while visitors wait for entry, and so they set the mood for the rest of the house. Clients want front doors that are welcoming, stylish and are a reflection of the individuals who live inside. 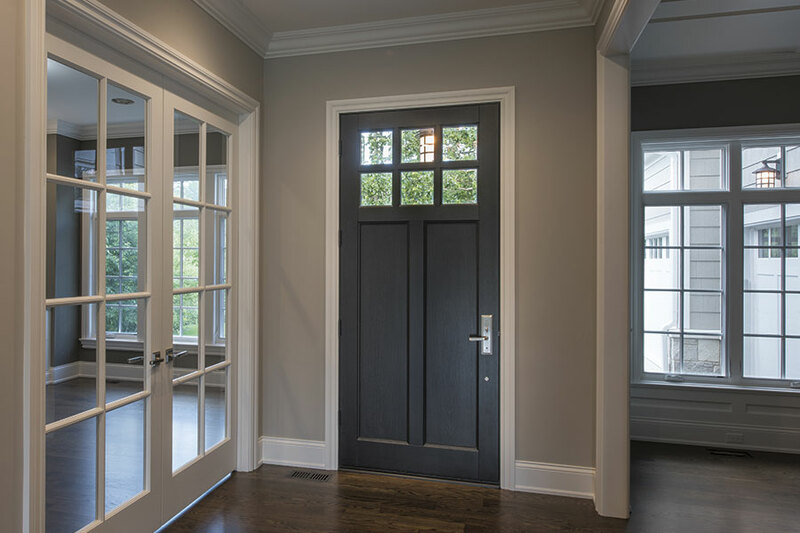 Glenview Doors provides made-to-order wooden entry ways that give clients the ability to express themselves and their home with a beautifully crafted, furniture-grade entry doors. Offering styles ranging from modern to classic, Glenview Doors has doors to fit every desire.